Both the teams will lock horns at the Province Stadium today in Guyana on Tuesday. Aussies defeated Carribean in their first match while the Proteas have already tasted the defeat by four wickets in the hands of the hosts in the opening game of the tournament. In the recent cricketing times, the South African team hasn’t played to their best. Thus, they haven’t proved themselves so that other teams should have a fear of them. However, we all know that they have a set of players who can turn the match in their favor at any time during the play. Both the openers Quinton de Kock and Hashim Amla are required to do some firing right from the start of the match to give a better and stable condition for the middle order batsmen. At times, they get the required start, but they haven’t been able to convert that into big scores. It is the biggest reason for their recent failure. The team needs to employ and make the better use of Mitchell Starc, who has returned after a long gap of six months. He bowled with right line and length against West Indies. In the batting lineup, AB de Villiers showed his one of the best forms in batting during his play in the IPL 2016. He must try hard and then play with ease to score some big runs in this series too. He is the captain of the South Africa. Thus, he needs to set a perfect example for a terrifc piece of cricket. In the meantime, Australia looks confident of their play as they successfully defeated West Indies in the previous match. In that game, they turned out victorious in all the segments. Thus, the team led by Steve Smith must be feeling charged up when they will be out on the field to play SA on the same ground. David Warner is also now is good form. It will prove helpful and an edge over RSA in the third ODI. Not only batsmen, bowlers especially the role of spinners will be substantial in today’s game based on the nature of the pitch. As the amtch is going to be played at the same venue, thus the pitch conditions will come near to the same as of the first one. Earlier, the ball was gripping and turning so is expected on Tuesday. Nathan Lyon and Adam Zampa; Imran Tahir and Aaron Phangiso from Australia and South Africa will be their key bowlers. It is going to be the exciting match. Australia: Aaron Finch, David Warner, Usman Khawaja, Steve Smith (C), Glenn Maxwell, Mitchell Marsh, Matthew Wade (wk), Mitchell Starc, Adam Zampa, Josh Hazlewood, Nathan Lyon. SA: Hashim Amla, Quinton de Kock (wk), Rilee Rossouw, AB de Villiers (C), JP Duminy, Farhaan Behardien, Chris Morris, Kagiso Rabada, Morne Morkel, Aaron Phangiso, Imran Tahir. 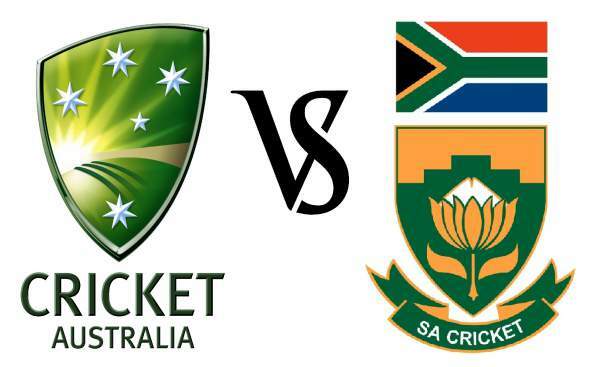 The SA vs AUS 3rd ODI live stream will start at 5 pm GMT. Ten 3 and Tensports.com will provide the live telecast and stream respectively in India and the subcontinent. The UK and Ireland audience will get to watch the telecast on Sky Sports 3 and Sky Sports HD while Watch Sky Sports will live stream the game. For the residents in the US, they will be able to catch the live action on Willow TV and Willow TV Online. The Australia vs SA 3rd ODI will be available on FoxSports 4 Australia and the fans can stream it live on FoxTel Play. The viewers residing in RSA can catch the live updates on CSN and SuperSport 2. Also, Australia vs South Africa 3rd ODI live will be available to stream on Cricket Australia.